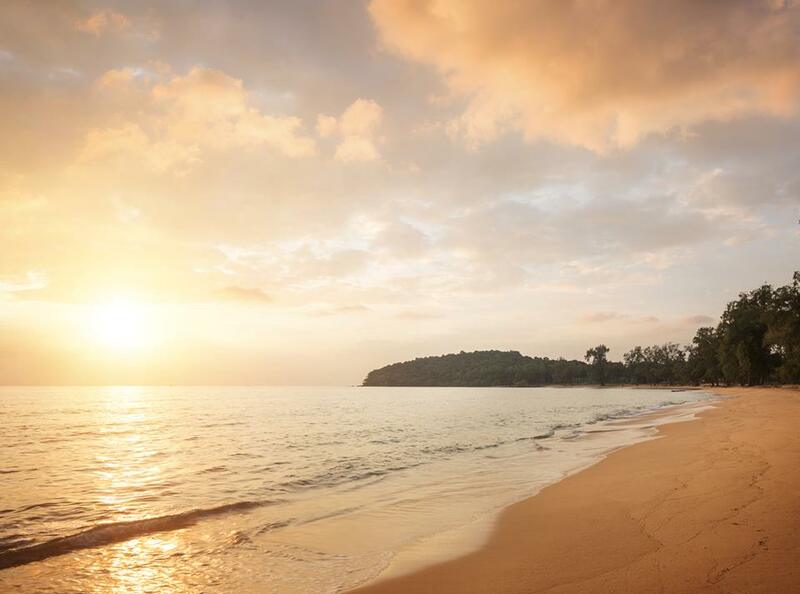 Do you endlessly dream about Southeast Asia’s golden-sand beaches? Bali and Lombok. Phuket and Ko Samui. Boracay and Palawan. Langkawi, Phú Quốc, and, even though it’s taboo right now, Thandwe have made appearances. You seem to be missing one major country, though. Cambodia is the often-forgotten country. It’s wedged in between Thailand and Vietnam. It has nearly 300 miles of coastline. Plus it has more than 60 islands nestled in the Gulf of Thailand. But its coast and islands remain largely undeveloped. Even Sihanoukville, the area’s only deep-water port, feels surprisingly remote once the sun sets. That’s why you should visit the Koh Rong Archipelago now. The Koh Rong Archipelago is easy to reach since it lies just a few miles off the coast of Sihanoukville. After landing at Cambodia’s third-largest airport, you have a 20-minute transfer to Ream and a then a short boat ride to Koh Russey. Little Bamboo Island—it’s only one half of a square mile—was home to a small Royal Cambodian Navy station for years. The soldiers based there had an idyllic spot with a dense green forest, ochre-sand beaches, and shallow emerald water. With the opening of a small beach resort at the beginning of the year, more people now get to enjoy this beautiful spot. The new resort is Alila Villas. 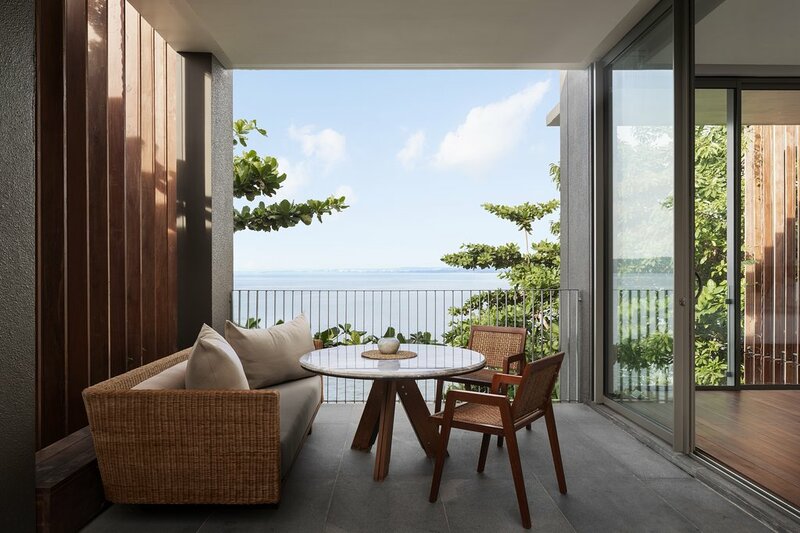 Alila Hotels and Resorts have design hotels all over Asia. Goa. Guangxi. Komodo Island. Oman. Seminyak. Koh Russey is their first spot in Cambodia. They picked a good one. The resort sits on 61 acres. Most of them are covered with coconut and ironwood trees. The pristine beach extends for nearly a mile. Buildings were created with two goals in mind. First, keep their environmental footprint light. That means they blend in with the jungle instead of tearing it down. Second, find inspiration through local Khmer communities. This is why the minimal cubist architecture looks like kramas, the patterned scarves that are ubiquitous in Cambodia. The resort has 50 suites scattered across four pavilions. They’re chic, minimal, and airy. The bedrooms feature hardwood floors, white linens, and lots of sunshine. Both bathtubs and rainfall showers are in the natural stone bathrooms. While the living spaces extend out on furnished terraces. They frame the ocean perfectly. The rest of the resort is just as sleek. Spa Alila uses local healing rituals and Khmer herbs in its treatments. Horizon, the poolside restaurant, blends French techniques with freshly caught fish and organic vegetables from the garden. The thatched-roof Beach Shack is a perfect spot for a sundowner. An infinity pool, yoga classes, and movie nights are available along the sand. What beach are you dreaming about now?